Magnificent Cho Oyu mountain is the sixth highest mountain in the world, with an elevation of 8,188 m/ 26,864 ft. 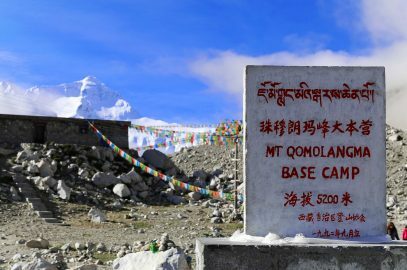 It stands on China-Nepal border, 20 km to the west of Mount Everest. Climbers know Cho Oyu as the easiest eight thousander, mountain above 8,000 meters high, to climb. There are mostly snow covered slopes with small sections of ice and rocks. There are two main ways to climb the mountain – one is on the Tibetan side and another one from the Nepalese side. 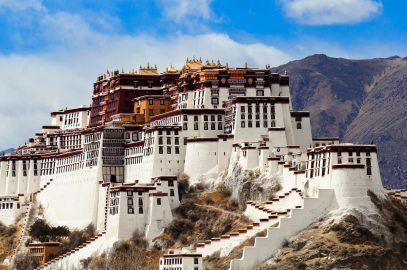 The Western side in Tibet is the most popular route, and most of the expeditions take off from there. 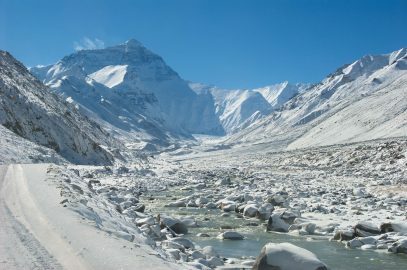 There is a road leading to the Base Camp in Tibet, however, it still takes about 6 weeks to summit the mountain, as mountaineers have to acclimatize to the high altitude. 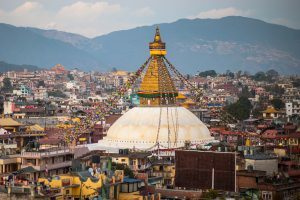 For those, who attempt climbing it from Nepal, the adventure starts in Lukla, from where climbers trek to the Base Camp. 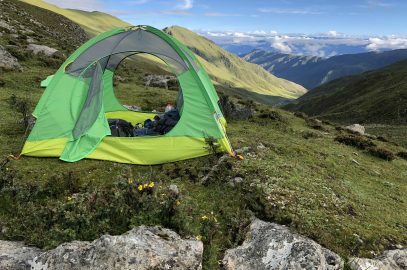 Climbing Cho Oyu is also very attractive as from the top of the mountain climbers get an incredible view on the Himalayas, Mounts Everest and Lhotse, and dozen of other Himalayan peaks. 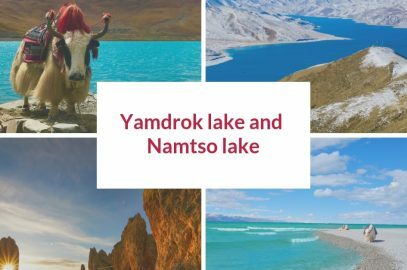 The name “Cho Oyu” came from Tibetan “Turquoise Goddess”, given for the stunning colors of the mountain during the sunset. Cho Oyu was the fifth highest mountain climbed. 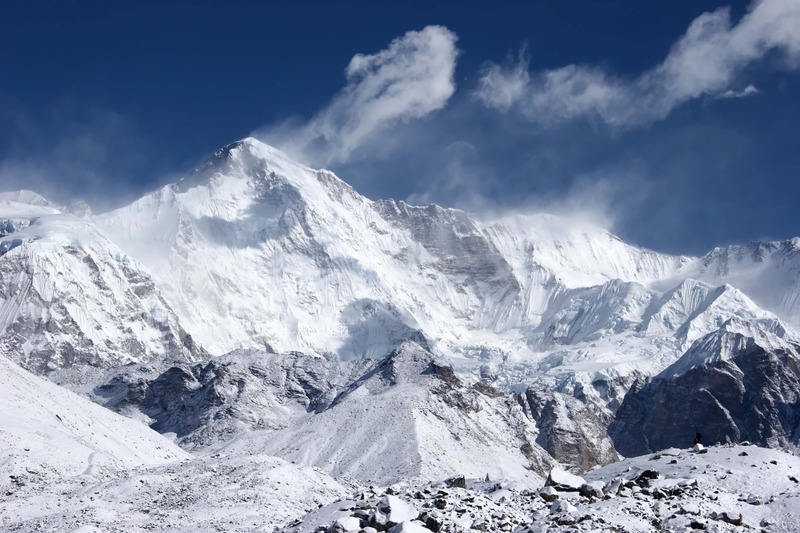 Austrian expedition successfully summited Cho Oyu in October of 1954. Due to its low technical difficulty, Cho Oyu became one of the most popular eight thousander to climb, second only to the Everest. There are many professionally guided expeditions, mostly from Tibetan side. Most of the climbers attempt summit during one of the two climbing seasons: from May to the beginning of June or from September to early October. Although the weather gets very cold after that, some climbers attempt reaching the peak in winter. 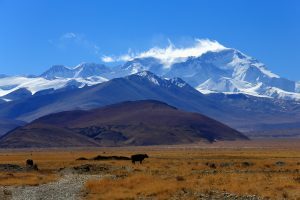 Want to see the Cho Oyu mountain? 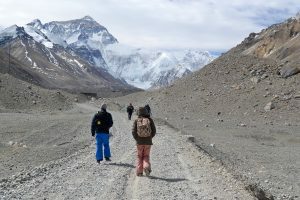 All our tours heading to the Everest Base Camp stop at the viewpoints on the way, From these viewpoints, you can get a view on the Himalayan range with several high peaks, including Everest, Lhotse and Cho Oyu mountains.